"Restless and unable to sleep, Anna picks up a sepia photograph of her grandmother, Hanna, as a young woman. It is looking in a mirror and Anna ses not the tetchy old woman of family stories but a woman who might love, cry, hate, just as she does. For the first time Anna sees herself and herself, Hannas daughter, not just as a family, but as real people whose lives have rich and complex stories to tell." I like the book very well and I have chosen it to be my 60th birthdaybookring-book. I hope you will enjoy it and wish you very happy reading! Sending it off to Alvhyttan and wish her very happy reading. I am going to celebrate my 60th birthday in april 2010. I have chosen a book that I like very well "Hannahs Daughters" written by the swedish author Marianne Fredriksson and this book is going to be my "birthdaybookringchallenge". This is the callenge: When the book returns to me on my 60th birthday it should have been read by at least 60 persons all over the world. These persons shall, as an addition to the journals, send me a postcard with my favourite motiv on the stamps (X-mas, birds and flowers) being a filatelist as well, this will be a double "present" *L*. My birthday will be celebrated with all those beautiful postcards/stamps from all over the world. Would you like to join? Send me a PM and I will add your name to the list. 18) Brezova, Belgium - - - > on it´s way to France.. seems the book is lost on the way to France. If it should turn up, please send me a PM and return it to me as I´ve sent another copy to continue the ring. There are some personal notes in the first book that I don´t want to loose. This book came here today. A really fun bookring-thing to do for your 60th birthday, stormon! I do my best to help getting this book around as quick as possible, so I will start reading it tonight and it will be sent to the next person on the list in a week. I had a great time, rereading this book in English and I had to take down my Swedish copy from the bookshelf and compare the text in some parts. For me this is a novel about the history of my country, from ca 1880 when most people here in Sweden lived on small farms and had a really tuff time (many emigrated to USA), through the industrialization period when people moved to the towns and on to our days of life. But most of all, it’s a book about the history of woman during this time. It is also about what we inherit, not so much about the sofa (the sofa in the story is like a symbol); it’s more about the social and psychological heritage and about how this affects our family relations. I hope everyone in this ring will enjoy this book! I have made a note in the little notebook and tomorrow I will send this book to Panzeranzi . And, of course, I will send a postcard to stormon. Happy birthday toooo yooouuuuu! 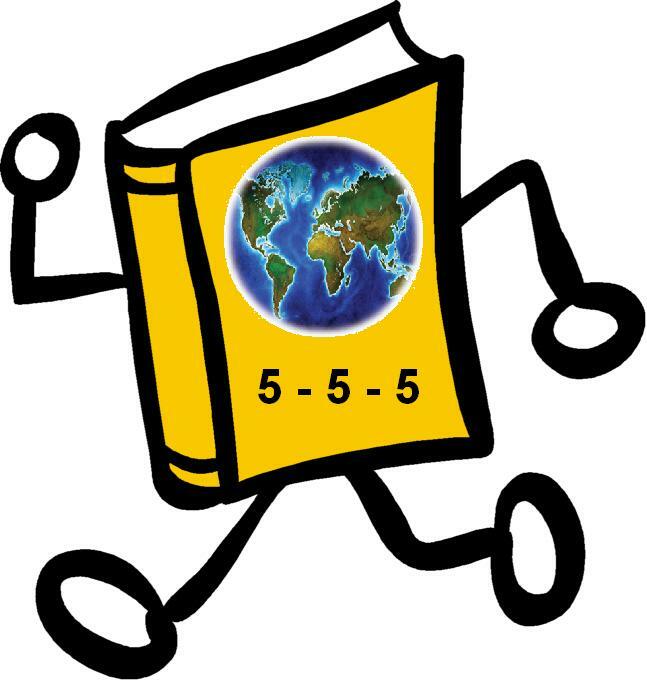 I'm looking forward to participate in this bookjourney! It´s a lovely idea! I´ve started to read the book already and it's a bit odd reading a Swedish book in English, but interesting too. I think i might get a new perspective of the story. I read the book long ago and honestly don't remember it that well. I'll try to speed up my reading so the book continues its' journey soon! I'm sorry to say that I'm a bit disappointed in rereading this book. I don't know if it's because I find it hard to read a Swedish book translated into English or because of the story itself. Although Fredriksson tends to write about interesting subjects I think she doesn't really deal with the subject. As soon as she gets near to getting into something that matters she glides over it. I think it would have been a better story if she had written more about each person - perhaps even a series of books. But I do find it to be a great story as far as it comes to Swedish history and the situation for women from the 1860's and onwards. I also think that it is important to shed some light to the fact that parents are individuals with a certain history that explains their actions. I agree with stormon that I realized that I don't really know my parents, which is a bit sad. I'll send this to Kaleidoblikk as soon as possible! And once more.....Happy Birthday to Youuuuu!!! What a nice surprise! I was on my way home from work; fell with my bicycle on the ice, aching all over the body and felt really sorry for myself. But when I came home there was a packet for me from Sweden!! Guess who forgot all about the pain - just like a child? This book and a lovely card from Panzeranzi with an adoring selfmade bookmark enclosed!! Will write more when I have read the book. Thanx a lot for letting me join this bookring, stormon!! I feel as if I could talk for hours about this book! And I quite agree with the words written on the back of the cover; that the stories will linger long after one has finished reading it. But when it comes to writing my thoughts in english, I dread I will not do the book justice. Therefore; bare over with me, please! I will try to express myself in general terms and not reveal anything that may spoil for the next readers. Truly enjoyed getting to know these people!! I find that Marianne Fredriksson managed to develope the story, not to mention stories(! ), the way we get to know people in real life: little by little we see/hear/experience/and so on things that when summed up it becomes our impression of that person. When I believed that I knew and understood someone, Fredriksson revieled new things that in some cases made my impression stronger - and other times it made me see the person in a quite different light. It really made me empathise with each character, and that always make me admire the writer. Coming from a family where we often talk about our roots, I fully understand the effort put in getting to know ones anchestors. The way the the writer mix between being an "I-person" and a "all-knower"(/"storyteller"), made the book true to me. It was as if these lives were lived ones, telling us about each person both from within themselves and also set in a sosial context. Yesterday I recieved a letter from Panzeranzi with a postcard from where Johanna worked. She asked me to put it in the book, which I have done. Very nice of her! Sending it to notnot today!! I just want to add for those "in line": ENJOY!! This wonderful book was waiting for me when I got home. I couldn't resist the temptation and had to start reading immediately. The story is really catching, already from the first pages. I don't think Hanna's Daughters will stay with me for a long time, because the story is really captivating, and I will probably finish it in almost no-time. Thanks to Kaleidoblikk for the charming bookmark, it is cute! Thanks for letting me be a part of your birthday-bookring, stormon, and I wish you a very happy 60th birthday in 2010. The story(ies) of the three generations of women in Sweden in these hard and sometime good times is really well written. You get under their skin and feel that you really know them. You walk with them through their lives and experience grief and joy. I think that Marianne Fredriksson really captured the moments of these womens lives, and managed to convey this to the reader in an excellent way. I'll put the book in xtra's mailbox during the weekend. I'm really happy to be a part of your amazing 60 year birthday celebration! Tomorrow I will go out shopping for a birthday card for you. Arrived today, delivered by notnot. This is a fun challenge, and I'm happy to take part. Thank you, notnot, for the pretty bookmark! Oh, I'd better hurry to make the journal entry before the book arrives with nille311! It was sent in the mail yesterday. I'm happy to have had the opportunity to read this book. I will probably check out more of Fredrikssons books later, because this book gave me a very favourable impression of her writing. I put plastic wrapping on it, so the book will be better protected from handling and general tear and wear, and hopefully the protective bag around it will follow the book on its travels. Arrived here yesterday 1.April. Will read and pass on. Lovely re-read. Sent to Annelis 12. April. Enjoy. The book arrived arrived the day before yesterday, but BC-site has been down and I thought that it still is. I tried journal making and it seems to succeed! The book looks interesting and I'll read it soon. Thanks! What a lovely book! I suppose it is even better on the original language - more local colour. 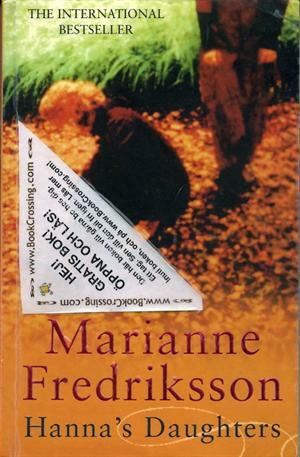 If I ever see another book by Marianne Fredrikson I'll certainly read it. I wanted to make it fast and went last Monday (8.5.) to take the book personally to TJ2'a address (which is near my daily paths), but alas! The street doors were locked, nobody answered TJ2's doorbell and nobody came out of the door while I was standing in front of the house. So I walked to the post office some 500 meters away and posted the book instead. I wonder how long it will take the book to make that distance which I walked in ten minutes. I just came home from 2-week vacation, and found this book waiting for me. So I suppose I've already spent some of my 3 weeks reading time... Will start reading today, and hopefully finish by the end of this week. Happy birthday, stormon - this is a great bookring idea! Wonderful book! Partly sad and moving, but somehow full of hope. Stormon, thank you for sharing, and once again - HAPPY BIRTHDAY!!! I have PM'd Intrycksflikka for address, so probably this book will be moving along in a few days. I haven't got contact with Intrycksflikka. I would like the book move along quickly, because of the speciality of the ring :) So I've contacted Sirah who was skipped for some reason. I will mail the book to her today. Sirah and dotdot live in Helsinki, so it's possible that both of them will read the book before Intrycksflikka. I hope this is OK for stormon, and sorry Intrycksflikka for pushing you down the list! Thank you for letting me to be a part of your bookring! And, Happy Birthday! I found this book very interesting. The characters were very realistic as well as I could imagine the scenery very well. It's hard to believe that the book is fiction! Good choice for your Birthday bookring! I enjoyed the book a lot! It was so well written,I felt like I was there and lived the lives of Hanna, Johanna and Anna. Especially I admired the descriptions of the Swedish landscape and the characters of the ladies. All of them were so strong in their own way. Wonderfully chosen book for your birthday bookring! I´ll hand the book next to Dotdot. Got the book today from Sirah. Thank you:) Thanks to stormon for letting me join this special ring. I just want to say that I've kept this book more than three weeks . I'm really reading it and I like it so far. I try to be as quick as I can. I'll send the book to Intrycksflikka after I've finished with it. I began reading this book a couple of times but the first chapter depressed me. Finally I got over the scene in hospital and those in Johanna's mind. I'm so glad I continued reading and didn't just send the book forward after three weeks. This book exceeded all my expectations. It also made me a bit emotional. I can't really tell who's story touched me most. It could've been Hanna's. She was born only some years earlier than my grandparents. (Actually they were Ragnar's contemporaries.) Their generation lived trough many great changes in society and culture and dramatic events in history. There was something familiar in Hanna's general attitude also. Johanna's lonely time in hospital and Anna's visits there felt so true to me that reading was almost unbearable at times. It reminded me of my own parents and brought the fear of their future to my mind. Or perhaps I thought just of myself all the time. To me this was more than the story of three generation of women and their families. It's impossible to separate personal histories of women from history of society, history of Sweden and Nordic Countries in this case. Hanna's Daughters dealt with matters we all have in common and yet rarely shared. Perhaps that's why I didn't even think, if characters were based on real people or not. Thank you for sharing this great book with all of us, stormon. And a very happy birthday! Posted to Intrycksflikka yesterday, on the 6th November. Will PM Lastedition for her address. Happy birthday, Stormon ... both on "the day" and the ones that come before! Great idea about the postcard, Kaleidoblikk. Not really my cup of tea. I felt the book was a bit "all over the place" and found the feministic asides not at all constructive and it rather turned me off. Being a woman myself, I think we can do better for ourselves by making changes rather than just whinge about "our lot" and that this is an ageless thing. Stormon, this birthday thing is a most wonderful idea, and I sincerely hope that the book makes it all the way! I have been in contact with Kari-H and the book was mailed yesterday. The book waited for me in my mailbox today. Just in time for the Christmas holidays, in which I hope to find time enough to read. Tack sa mycket! I liked this book very much, and I like Scandinavian authors. Sorry for keeping it longer than intended, but it is on its way to sillesoeren now. A great book, which I have twice in my PC and twice for BC-reasons, all of them translated into German. What a difference to read it in English! Seit Montag unterwegs in Richtung Schweiz. The book arrived today, thanks a lot! What a wonderful book! Thank you for sharing, Stormon, and HAPPY BIRTHDAY! Just received this book in my in-box here in the office. I'm going to do my damnedst not to keep this book too long - as I have the bad way of doing. Happy birthday this year Stormon and hope the challenge will succeed for your 60th. off to bacicoline in the Stormon-challenge for her birthday in 2010. Sending a second copy off to Italy as the first seems to have disappeared on the way. The book is here ! I promise I'll try to be as quick as possibel. Thanx! Well, first of all I apologize for taking the book so long! Anyway, I finished it yesterday night, and I must tell you tahanx a lot for let me join this bookring, I liked it a lot! I loved all the way the story developed, and my fave was Hanna's life, so far in the time, but so close to her grandaughter somehow.. I loved the characters, them all for being so different but linked in little things. I don't want to tell anything else, as I could reveal something to those who are to read it, so I just say enjoy the book! And tahnx again to Stormon! It arrived today! Thank tou lizzyblack!! I'll start reading right now!! I'm sorry for keeping the book such a long time. I'm going through a very "chaotic" phase of my life, so I didn't have the opportunity to read the whole book. In order not to delay the bookring more than I already did, I'll send it to librissima in the morning. PS: Happy Birthday stormon!! I hope that I will have found a nice postcard (and a stamp) until the end of the week in order to send my wishes to you on next Monday! Thank you for the bookring! I'm sorry for the delay. Not half bad, I'vre really enjoyed reading it on a beach at the island of Limnos. Got it with another book 10 days before, but I was too busy to journal it. I'll read it as soon as I can. I had a hard time finding this book, there was trouble in the post office. I'm forwarding it to the next person. Arrived some days ago, but only today could make the JE. Just finished it yesterday. Liked it a lot. The all book can take you around and get your attention. Thanks stormon for the opportunity. It has arrived safely! I will try not to take long to read it. Thanks all for sharing! What a beautiful family story... very touching, indeed! Thank you, ElHurricane, for sending it and to Stormon, for sharing. Hope all your wishes come true on your 60th birthday! Will send you a sms to ask for your address, in order to mail you the promised postacard. The book continues its journey to «conversasdecafe". I've received a few days ago from Lisatam. Thanks! I'll try to be as quick as possible. Happy readings! I will send the book to Roobarb14. I apologize for being so long with the book. Happy readings! What a great book! Very emotional. I was reading it mostly at my train ride to and from work. Once I had to close it because I was really sad. Thank you very much for letting me read it. I am now in the process of contacting people on the list. We'll find out soon who will get it asap.